The Val di Fiemme, in the Valley of the Dolomites, is dominated by some major peaks, as the Lagorai chain, the Latemar and Pale di San Martino. The area is rich in forests and natural parks, such as Paneveggio and Monte Corno. 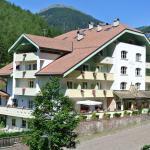 Hotels in Val di Fiemme, open 12 months a year, so suitable for tourism both winter and summer, are located in all towns of the valley:Cavalese, Tesero, Predazzo, which are all crossed to reach the Val di Fassa. In addition to tourism, the economy of the area is also based on craftsmanship and woodworking, especially of the spruce which abounds in the valley. The main ski lifts in Val di Fiemme start from Cavalese and Predazzo, to reach the slopes of Cermis, Pampeago and Obereggen. 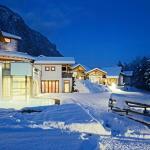 From here you can also reach the area of Rosegarden and cross-country skiing around Lake Tesero and Lavazè Pass. Select travel dates and find all available hotels in Val di Fiemme, check out guests reviews and locate properties on Val di Fiemme city maps, book your favourite accommodation with no pre-payment. All rates are in Euros and inclusive of all taxes. The Alpino Hotel, located in the beautiful mountain resort of Varena, offers wonderful views of the Dolomites, a shuttle service to the ski slopes, bike rental and free health club. 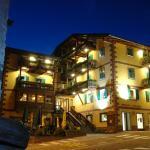 The Berghotel Miramonti is located in Tesero, in Val di Fiemme, Stava area. 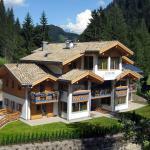 The ski area is 4 km away from the Latemar and the cross-country skiing areas in Lavaze Plateau are 6 km away.